ALPD is Pro-DOS V1.9 that has been patched by Edwin Blink to work with the Atom Lite interface, which Edwin also designed. If you like an Atom Lite interface then contact Edwin from his web site. To use the Atom Lite with a SAM Coupé you need to have the AL+ BOOT ROM 2.2 installed, which replaces the normal SAMs ROM, Also AL+BDOS. System tab > Patch ROM for Atom HDD booting option should be ticked. Drives tab > D2: Atom Lite option should be set. Disks tab > Atom Hard Disk should point to a HDD image or a CF Card formatted with SAMDisk V2. The current patch version is 1.8 and I would like to thank Edwin for the Pro-DOS patch. There are a few minor changes to Pro-DOS. On loading ALPD from a BDOS record the loader will stop and ask you for a CP/M formatted record number. Once set, eg RECORD 21, enter CONTINUE and ALDB will continue to load and the Pro-DOS system will be logged on to that record in the B drive. The spare memory in SAM was used to create a RAM drive. On a two drive SAM system running Pro-DOS this would have been the C drive, with ALPD the RAM drive is replaced with the patch code to access BDOS records, so no RAM drive is allowed. 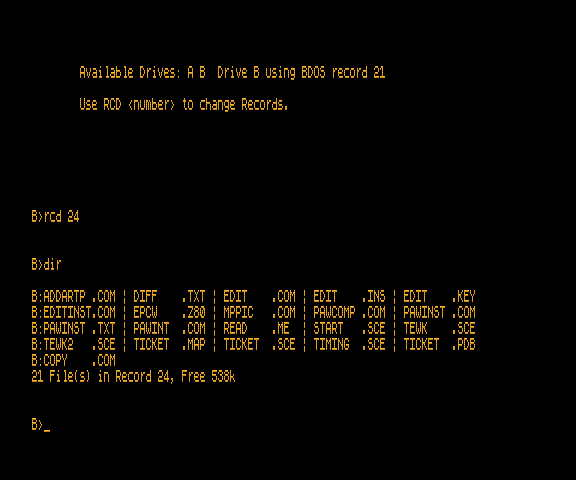 Formatting BDOS record to CP/M. 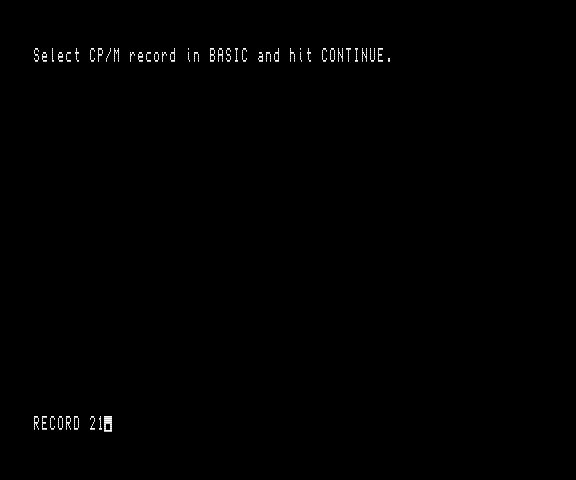 Formatting a BDOS record to the CP/M format so done with the BASIC program MakeCPM, on the ALPD disk. When run the program will stop and ask for a BDOS record, once set enter continue and the record will be formatted for use with Pro-DOS. You can move forwards or backwards though the records on the CF card or image, as long as its a valid CP/M format. If you logged onto a non CP/M formatted record and issued the DIRectory list command you will see the CP/M file names listed as ????????.???. 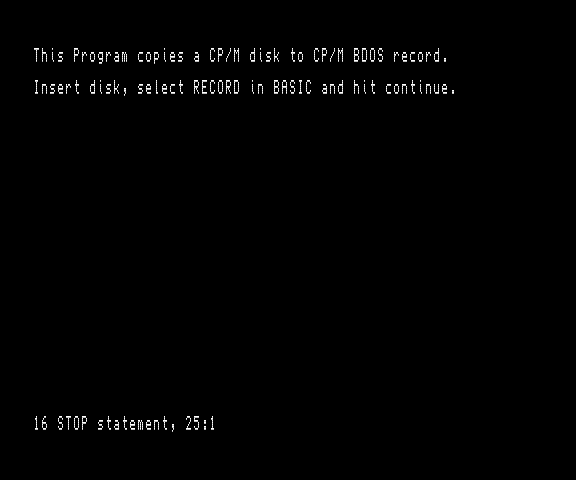 Which is the normal response when Pro-DOS tries to read a non CP/M formatted record or disk. 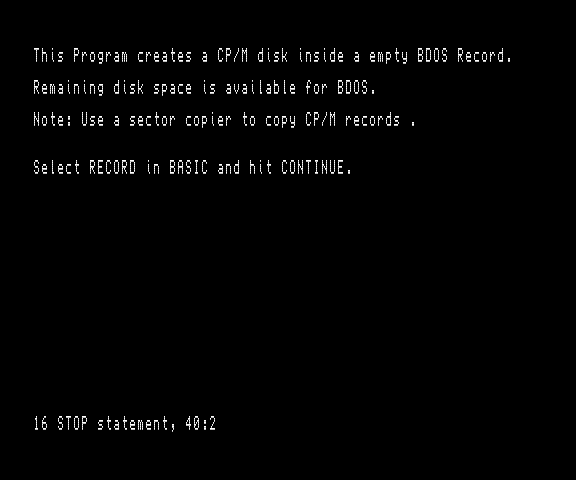 Moving CP/M Disks to a BDOS CP/M formatted record. If you have CP/M disks with applications and programs on them they can be moved from the A: drive in SAM or SIM. To a BDOS CP/M formatted record with the BASIC program on the ALPD disk called CopyCPM. 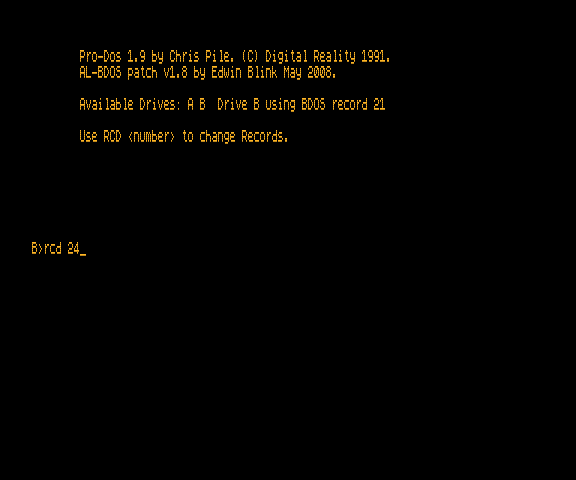 Once loaded the program stops and asks you for the BDOS record you wish to the disk in the A: drive. ALPD asking for a CP/M record to log the B drive to, in the example record 21. 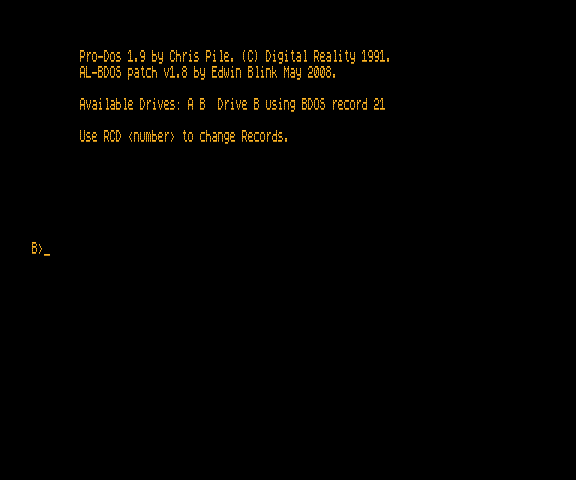 Atom Lite Pro-Dos boot screen, note the B drive is logged to BDOS record 21. Also a reminder of the new RCD command. Changing record, rcd 24, to BDOS record 24. DIR command issued, listing the contents of record 24. MakeCPM screen shot. Ready to format a BDOS record to the CP/M format. CopyCPM screen shot. Copies a CP/M format floppy disk in A: drive to a BDOS record.